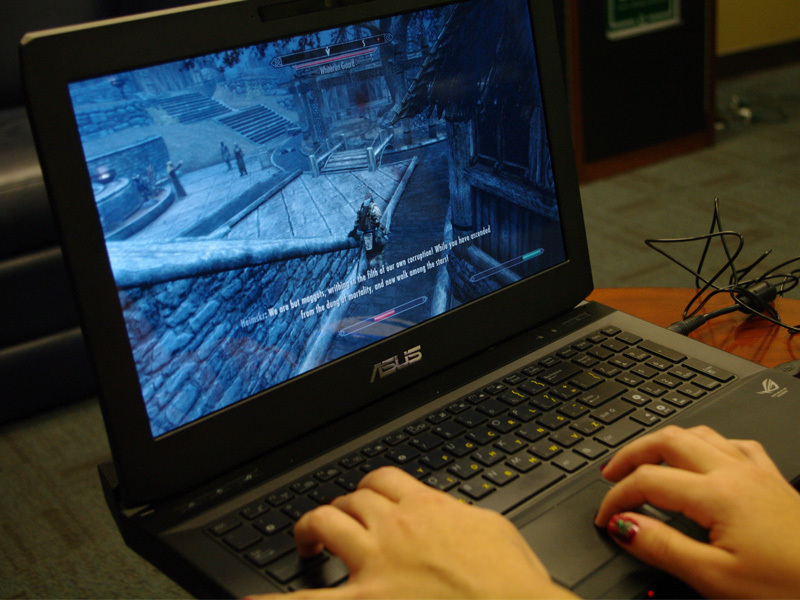 Jessica Bills -- “The elder Scrolls V: Skyrim” opens up a vast world to be explored by all of those immersed in it. You are traveling down the Nordic hillside, headed towards the Whiterun Castle, and a group of bandits spot you and immediately attack. You draw your shield and sword and spring forward. They scramble at you, prepared to end your journey and take your goods. Suddenly, a chilling shriek echoes in the skies above, stopping everyone dead in their tracks. For a moment, time freezes. Nobody moves – everything is silent. As fast as the moment stops, it rushes back as a dragon crashes down. Bethesda Game Studios has done it again with “The Elder Scrolls V: Skyrim,” the new installment of “The Elder Scrolls” series. From the very beginning, “Skyrim” has the all-too-familiar feeling that fans of “The Elder Scrolls” series have come to know well: the feeling of having a vast, open world to explore. With so much to do, how much is actually fun? What makes “Skyrim” different from “The Elder Scrolls IV: Oblivion” and every other role-playing game? One of the most promoted aspects of the game are the dragons to be encountered. They appear to be an attention-seeking gimmick at first, but it becomes obvious there is much more to it as the game unfolds. They add a new twist to the main story’s depth and intrigue and give the player something new to fear once they realize they pack a punch. They can appear at random, with no limit to how many appear throughout the story of the game. Chances are if you were a fan of “Oblivion,” are looking to get into a fantastic RPG or just have a need to slay a dragon or two, “Skyrim” has something to offer for everyone. With updated graphics, “Skyrim” has moments when it simply looks gorgeous, something the game boasts with detailed mountain landscapes, vivid night skies speckled with stars and realistic weather effects. Not only does the game look prettier, but new and seasoned players will appreciate the better menu and combat systems that make “Skyrim” appear to be a definite upgrade from its predecessor. Though it appears many changes were made to an already popular series, some things are still reminiscent of previous Bethesda games, namely the non-playable characters and their voice actors. Unnecessary characters seem to have recycled voices and dialogues and will forget the conversation you had with them seconds earlier. Another positive tidbit left virtually untouched is player freedom. The game itself plays like a sandbox – the main story quest is always available, but players are never forced to make it their priority. This option allows for side quests, additional leveling up and a chance to better explore. 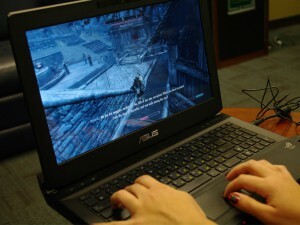 “Skyrim” offers an action-packed story with familiar gameplay and a vast world to be explored. Anyone looking for a game to play over winter break or even in their free time should give “Skyrim” serious consideration. With holiday sales sure to hit the game and promises of downloadable content, all that is left to do is go out, grab a copy and slay some dragons.